This entry was posted on October 15, 2012 by Daf. It was filed under Gear, Ramblings and was tagged with battery, charge, Elinchrom, led, Li-ion, light, receiver, service, skyport, speed, warranty. Thanks. I have the same problem. 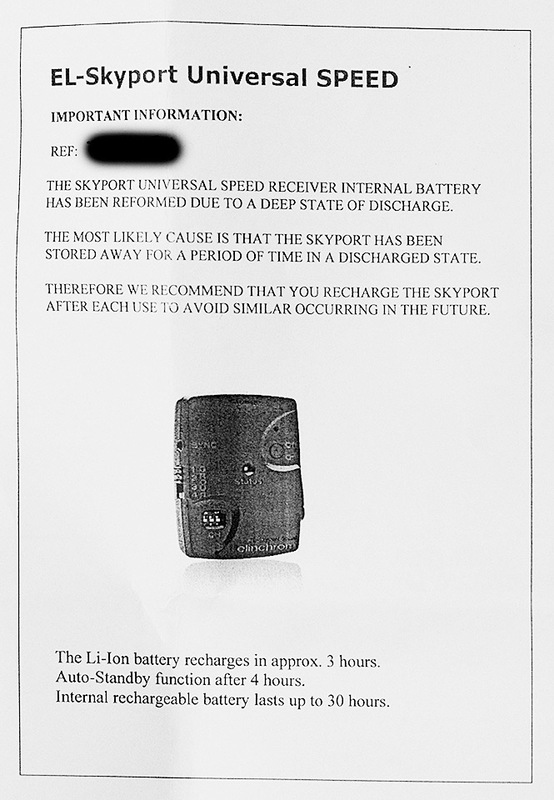 I have never charged the unit but it showed no sign of needing charging – now its dead. A replacement is very expensive and it would seem to be a design fault.